Jeroboams shops are situated in the heart of their local communities. We believe that personal service and advice are essential to ensure a customer’s satisfaction with his or her wine purchase. The staff in our shops are trained to listen first and then advise, they will have personally tasted many of the wines on the shelf, or certainly know of someone in the company who has. 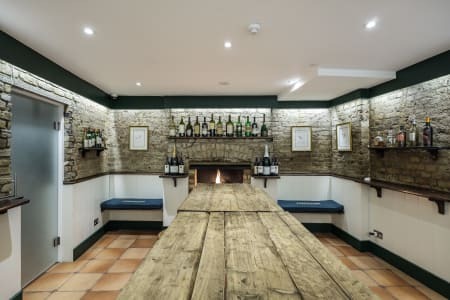 Nestled under the streets of Knightsbridge is our hidden gem – a cosy cellar which houses eclectic, engaging wine tastings. Choose one of our themed events or customise your own night with a private hire. We have a host of world class wines, top class food and welcoming staff to make sure your night is a corker. Jeroboams is not currently an approved Obby partner. For the full list of our Drinks And Tastings classes please click here. If you are Jeroboams and would like to become an approved Obby partner, please click here.